Despite improvements in dental care, millions of Americans suffer tooth loss – mostly due to tooth decay, gingivitis (gum disease) or injury. For many years the only treatment options available for people with missing teeth were bridges and dentures. But today dental implants are available. 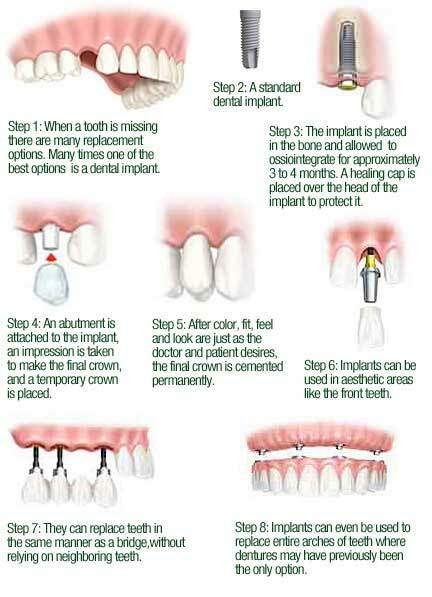 A dental implant is a form of cosmetic dentistry used to replace missing teeth for a look and feel that is natural. They are surgically placed below the gums over a series of appointments. The procedure involves attaching the implants to the jawbone and gum tissue to become a stable base for one or more custom artificial replacement teeth, called dental crowns. 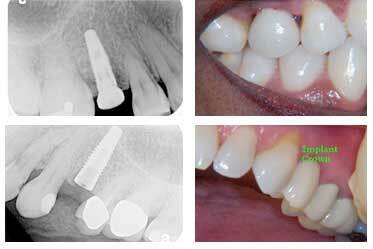 Candidates for dental implants need to have healthy gums and adequate bone to support a secure implant.